We are currently seeking a full time/year round landscape/hardscape foremen. A minimum of 2 years experience in the landscape industry a must. This is a working position and will require working alongside of assigned crew. Valid drivers license is required. Must have own transportation. Spanish speaking is a very big plus. This is a year round position. We offer a competitive compensation package based upon experience with room to grow within our organization. 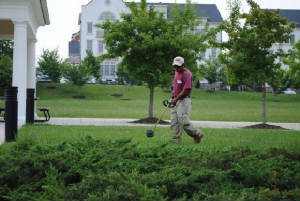 We are currently seeking a Landscape Maintenance and Enhancement Installation Supervisor for our Baltimore Office. Candidate should have at least 2 years of experience. Valid driver's license is required. Must have own transportation. Spanish speaking a very big plus. This is a year round position. We offer a competitive compensation package based upon experience with room to grow within our organization. We are currently seeking landscape/maintenance crew members. This is year round work.